Medical reference app helps you find answers and useful information of your health & disease related queries. You can turn your iPhone or iPad into a powerful medical reference device by installing some useful and powerful medical reference apps on your device. 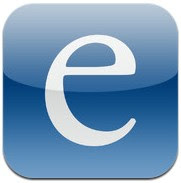 Here are some very useful and professional medical reference apps for your iPhone and iPad. 1. LabGear Medical lab reference guide ( iPhone & iPad ) – One of the most useful medical reference apps on the app store and it comes with many features which turn your device into a advanced medical reference tool. The app includes tons of features and tools such as – medcalc for lab information & calculation/formulation , more than 300 lab tests with description and symptoms, iCloud support, custom notes, brief lab report and many other useful features. Very useful app that can be used as a powerful medical reference app. 2. 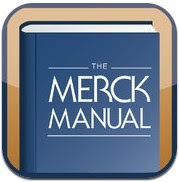 The Merck Manual ( iPhone & iPad ) – Featured rich and useful medical reference app that comes with lots of options which can help healthcare professionals find essential information on diagnosing and treating medical disorders. Very useful medical app that lets you access content without internet connection. The app includes many useful tools such as- tool to find quick information on patient symptoms, useful sections, chapters and topics on diseases, patient symptoms and treatment , powerful search tool to find information quickly and lots of other useful features. 3. iTriage ( iPhone & iPad ) – Useful, free and powerful medical reference app that has many useful features. The app helps you find answers of your health related questions. iTriage is a simple and easy medical app that can help you find health related queries, , doctors, nearest hospitals, medications and thousands of diseases with description, conditions and symptoms. The app is integrated with lots of medical tools which are very useful for all users. 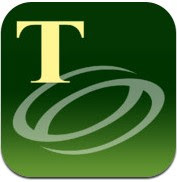 Great free app for iPhone and iPad users.
. The app helps healthcare professionals review drug prescribing, identify pills, calculate different types of medical formulation , access latest medical news and researches and find disease information with alternative medications. Very useful app that comes with lots of useful medical tools which help professionals and students find useful health related information. 5. 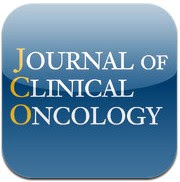 Journal of Clinical Oncology ( iPhone & iPad ) – Free app that lets you access latest medical news and articles on your iPhone or iPad easily. The app has nice user interface that lets you view content easily in PDF and Text formats. Great app to find medical articles, news and clinical research. 6. 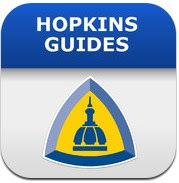 Johns Hopkins Guides ( iPhone & iPad ) – Very useful medical app that comes with Antibiotic , HIV & Diabetes Guides with detailed information including drug information ,specific complications with diagnostic and treatment. 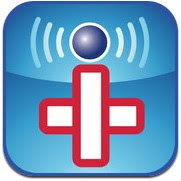 Useful medical app for iPhone and iPad users. 7. 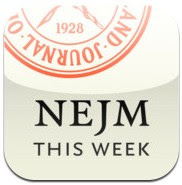 NEJM This Week ( iPhone ) – If you love reading medical publications and articles, NEJM this week could be very useful app for your iPhone that helps users read latest medical researches, findings, review articles and view images and videos. Useful app for medical professionals. 8. 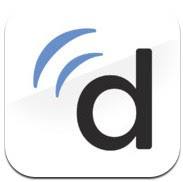 Doximity ( iPhone & iPad ) – Official app of Doximity.com that’s a great professional network of physicians. Currently the network has more than 180000 doctors. Very useful free app that lets you find US doctors with phone numbers and contact info. 9. Taber’s Medical Dictionary ( iPhone & iPad ) – Very useful medical dictionary that can help you find all types of medical info. The app comes with more than 65000 medical terms, thousands of photos, 32000 audio pronunciations, more than hundred videos on health related topics, hundreds of patient care statements. One of the best medical reference apps that can turn your device into a powerful medical reference tool. Recommended app for iPhone and iPad users.